Cohesion is a key factor of the team success. Which parameters show how you’re doing in the team cohesion? There are many interventions you can use to support your team cohesion. However, to choose the most effective ones, you can rely on accurately measured data. 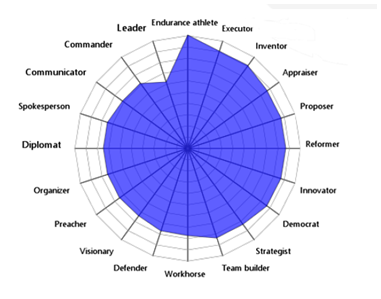 SportMind can identify a few parameters in the team diagnostics that will tell you more about particular team cohesion. 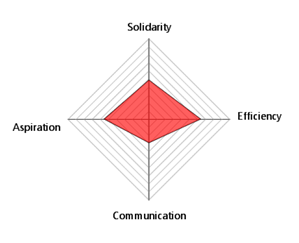 For example, the solidarity parameter shows the level of team compactness as well as sportspeople‘s ability to pull together. However, the most noticeable graph concerning the team cohesion is Atmosphere of relations which concerns the social climate. Each team creates and shares its own environment, the atmosphere of relations. Everything else springs up from this atmosphere chart – the relationship dynamics, the interventions setting, the suitable role of the coach, and much more. The numbers in the chart represent the number of sportspeople who are personally situated in the given environment. We can divide the environments into three groups: proactive (green), problematical (yellow), and blocking (red). 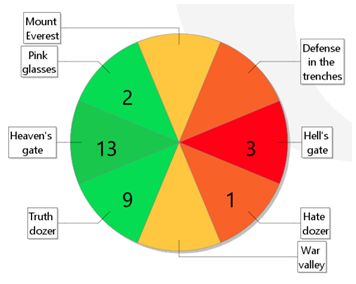 Most people, in this case, are in Heaven´s gate climate. What does it mean? This is a shared environment which ensures quality and balanced cooperation without the need to use more the pressure of sanctions and rewards. The team is able to set goals for themselves, meet them, and take responsibility for their behaviour, performance, and possible failures. This atmosphere type is trouble-free. How should the coach communicate with this climate type? For the group, it is common to speak actively while being able to respect the set conditions and not to obstruct, block or speak to interfere in the role and interaction of the coach. What is the effective strategy during training? The team is willing to accept fully and uniformly the conditions and rules set by them and the coach. The team does not obstruct by their commentaries during training, but instead, they are focused on active support. The coach still has to lead, whereas the team is not willing to try hard to achieve the performance goals. Sometimes, the team is lacklustre and unable to unmask, so they need the coach to lead them. This is the way how the coach should approach this team. The feedback can be given to the coach by the chart of his roles. Is he the right person? Should he change something about his communication or attitude? Or is it better to focus on drafting other persons into the team? It is so because we have to keep in mind, the atmosphere is made by the individuals.